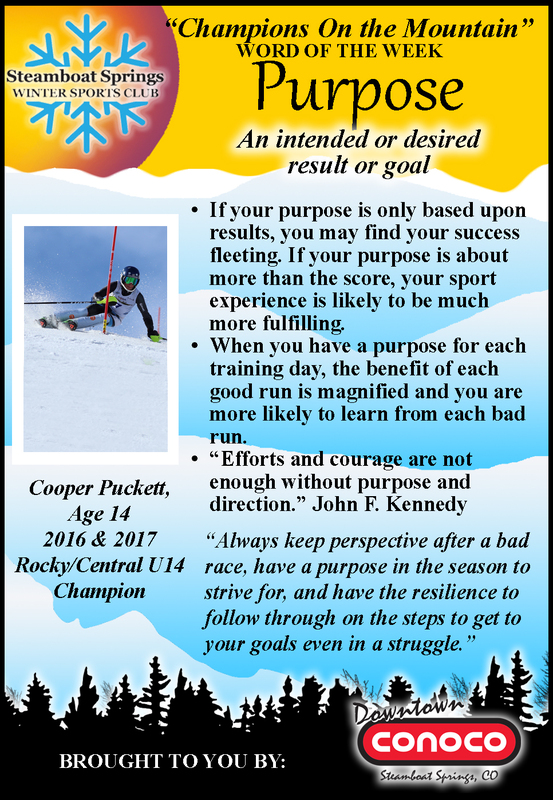 The SSWSC Word of the Week program highlights 10 words of significance for developing champions on and off the mountain. 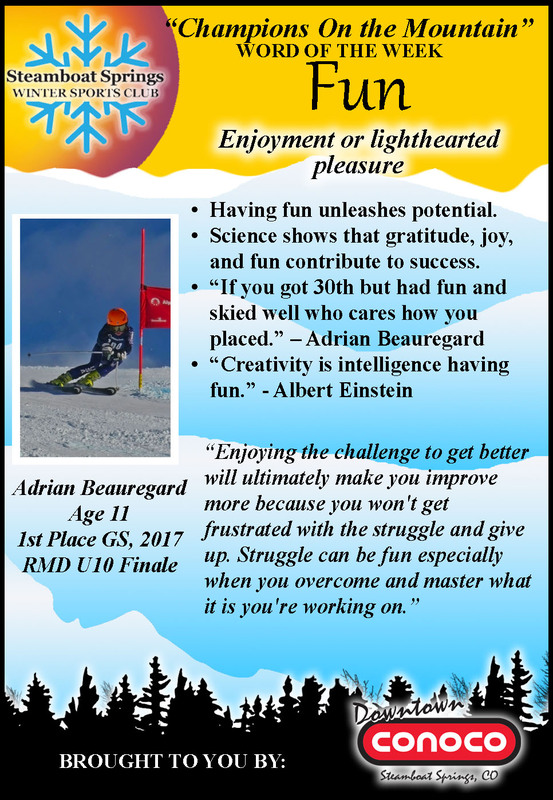 This year’s words were chosen by directors of our winter disciplines. Athletes learn about the words through their coaches, from posters around the training venues and ads in the newspaper. Coaches also incorporate the Word of the Week into their training plans for the 2 week period. Many athletes receive a wristband with the word to remind them to focus on the word during the week. 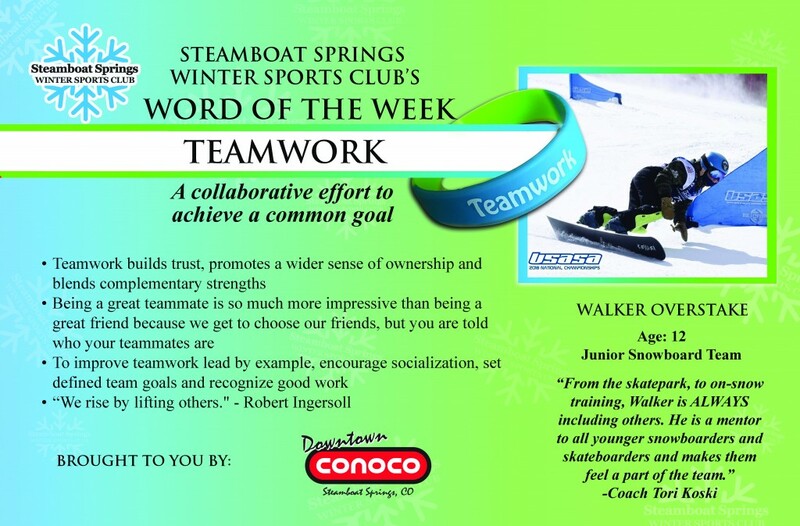 We encourage you to talk about the Word of the Week at home with your athlete! 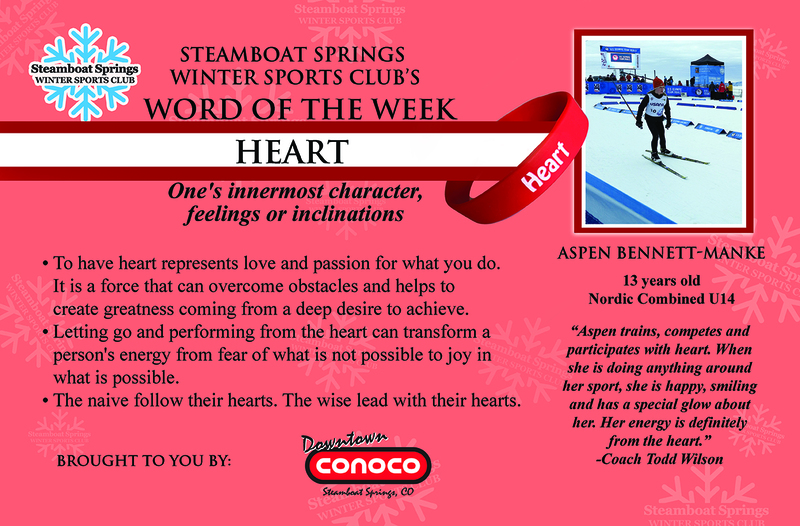 Thank you to our Word of the Week sponsor Downtown Conoco! You can find older archived Word of the Week entries here.